I was staring at a reader email from back when I started M&I, and I had no clue what he was asking about. “Finance” was investment banking, private equity, and hedge funds… and maybe a few other areas like equity research and trading, right? Who would want to advise the government on how to finance its infrastructure projects? As it turns out, quite a few readers – because the emails and questions kept coming. 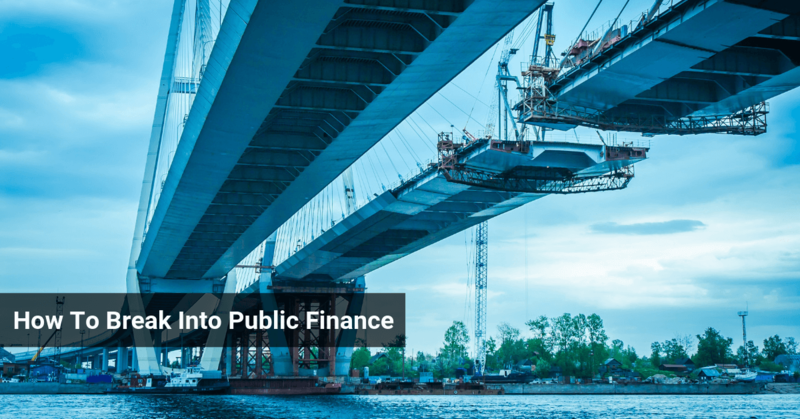 Public Finance has been one of our most-requested topics, and for good reason: it’s close to impossible to find reliable information on it online. And good luck finding insiders who can tell you what it’s like working there. But that changes today with Part 1 (Recruiting) of an interview from a reader who’s worked at a boutique public finance firm for several years. What you actually do in public finance / municipal investment banking, how it’s different from other areas like capital markets and M&A, and how banks categorize it. The most common interview questions to expect and how to prepare for them. The types of candidates they’re looking for in public finance. Tips on talking your way into internships and offers at public finance firms. Q: Why don’t you start off by telling us how you got into the industry? A: Sure. 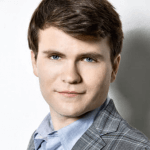 I came from a complete non-target school, and broke in by aggressively cold-calling boutique banks and other local firms – eventually I converted a trial internship into a full-time position. I worked at that bank for a while, but they wanted me to transfer to another office due to some changes at the top and I didn’t want to move far away. Since I had a year of generalist investment banking experience by that point, I was a much better candidate and felt more confident applying to all types of banks. I had a good friend who worked in public finance, so I sent my resume to him even though I didn’t know much about the industry at the time. His firm wasn’t hiring, but he gave me a bunch of referrals and put me in touch with a boutique bank that specialized in public finance. I went in for interviews there, spoke with a couple senior bankers, and eventually won an offer, which I accepted. Q: Let me stop you right there for a minute – public finance is a pretty specialized area. Most people want either generalist IB positions or more specialized positions, but not both. What made you accept this offer so quickly and not consider other options? A: Sure. So this firm actually did more than just public finance, and originally they brought me on with the intention of splitting my time between generalist investment banking work and municipal work. But they had a lot more work on the muni side over the next few years, so I ended up spending most of my time there. As for why I took this offer without interviewing around more extensively: I was speaking with a few other firms, but I thought it was a good offer and didn’t want to risk losing it by waiting too long. And I wasn’t too worried about becoming overly specialized since they had planned to put me in more of a generalist role at first. Q: I see, that makes more sense. So you went into public finance without knowing much about what you really do there – what do you actually do, and how is it different from normal investment banking? A: We specialize in advising and underwriting for tax-exempt entities – state and local governments, publicly-owned infrastructure and utilities companies, non-profits and educational institutions, and even non-profit hospitals (though the hospitals are more on the healthcare investment banking side). Underwriting Municipal Securities: Here, you help the entities above underwrite debt that they need to build new assets like airports, bridges, ports, railroads, and so on, or to refinance their existing debt. This is what my group does, and what we’ll focus on here. Project Finance: You’re not necessarily working with tax-exempt entities here, and you can use debt and equity to fund projects. There is some overlap with public finance, but most of the time it’s a separate group. Utilities & Infrastructure: What it sounds like – advising utilities and infrastructure companies on M&A and underwriting debt and equity. 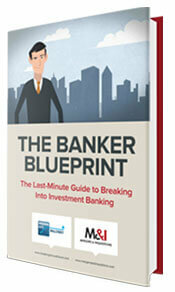 More similar to traditional investment banking. Project Finance is usually a separate group or a separate team, and so is Utilities & Infrastructure. Most of my experience has been with the first group above, municipal securities underwriting. Q: So before we move on: how do banks actually classify public finance in their organizations? It sounds quite confusing. A: Most of the time it’s in the capital markets group of an investment bank. But some banks (e.g. Goldman Sachs) just put it under their investment banking division and call it “Public Sector and Infrastructure” (PSI). Morgan Stanley puts it under “Sales & Trading” for some inexplicable reason, so there isn’t much consistency among banks. At boutiques it’s simpler because public finance-focused firms tend to do public finance and not much else. Q: I see… I’m not sure if I’m more or less confused now. But moving on, let’s circle back to how it’s different from normal investment banking. A: Sure. It’s most similar to a debt capital markets group because we’re still underwriting bonds… only for different types of clients. We do still go out and pitch deals, acquisition ideas, or financing strategies to potential clients, but sometimes it’s more about “idea generation” than formal pitches. Issuers pretty much always have competitive processes where they ask for RFPs (Requests for Proposals) from us and they decide based on who has the best RFP and who can offer the best rates. Senior bankers still spend time on relationship development with companies, but it’s definitely more about the RFP and the “bake-off” process here. There’s little negotiation work required because we don’t advise on M&A activity – only underwriting. Q: OK, so it sounds like you spend a lot of time writing these proposals for governments and tax-exempt entities that want to issue bonds. What percentage of your time is spent on that, and what else do you do? A: I’d say I spend around 50% of my time on these proposals. Unlike pitch books in investment banking, you don’t just get a big RFP occasionally and then move on; they keep flowing in month after month. Another big part of the job is add-on work for the initial proposal and creating follow-up presentations. So if we submit an RFP one week, we might get a call from the issuer on Monday requesting more information or more details. Effectively it becomes an “interview process” and we continue pitching them on why they should pick us to underwrite their debt. We also spend a lot of time analyzing how much debt a city or state has issued over the past several years and figuring out what they can issue going forward. Q: Wait, how is that difficult? Can’t you just look up the information by going through their filings? A: It’s trickier than it sounds because the information is presented in confusing ways in their filings. All of it is publicly accessible, but it’s not always simple to get the full picture just based on the documents. Also, as we’ll see in Part 2 of this interview, these entities use different accounting methods and might have different sets of financial statements for each fund (“fund accounting”) rather than the single set that a for-profit company would have. The actual underwriting process is more like an IPO or debt issuance: we work closely with the sales & trading team and they make the marketing calls, handle the roadshow, and so on. We focus on drafting the marketing materials and the prospectus for the issuer. Q: OK, thanks for that overview. We’re going to delve more into what you do on the job in Part 2, but for now I wanted to switch gears and go into the recruiting process for public finance. What should you expect in interviews with these groups? A: My interviews were not terribly technical, but keep in mind that I was in a unique position – at the time I thought I would be doing a mix of normal investment banking and public finance work. Generally, boutique public finance firms want people with some industry experience. Most analysts here come in with at least 1 year of experience, unless they interned here previously and converted that into a full-time offer. The most common questions in interviews: tell me about yourself, describe the public finance industry, why do you want to be here, and why should we hire you. So they’re not much different from normal IB interviews – you just need to know more about what you do in public finance and how the industry works before you go in. Q: I’m skeptical of what you just said, because I’ve heard reports of people getting more “unique” / technical questions in public finance interviews. Don’t you need to know anything about infrastructure financial modeling or bond math? Bond math: no, not in-depth. They may ask you basic points like what impact interest rates have on bond prices (inverse correlation), but you are not likely to get advanced questions there. A few friends who interviewed with public finance groups at bulge bracket banks (BoAML has a strong group) didn’t report getting a lot of technical questions on bond math, either. But you should review the basics and make sure you know going market rates for municipal bonds just to be safe. And since our issuers are tax-exempt, make sure you know what “tax-equivalent yield” means and how to compare muni bonds with corporate bonds. Finally, you should be aware of any recent legislation or policies that have caused demand or pricing for muni bonds to rise or fall. It might come up if you’re interviewing with an infrastructure PE fund or a Project Finance group and they give you a case study, but you have about a 0.01% chance of getting questions on this in public finance interviews. As you’ll see in Part 2, we don’t even do much “infrastructure modeling” in public finance. One unique topic you could receive questions on in interviews: public vs. private sector questions. There’s no right or wrong answer; it’s really about your thought process and how well you explain your reasoning. For the sanitation services example, you might argue that since many local governments are facing budget shortfalls and declining revenue, it makes sense to contract out the services; privatization might also improve their efficiency and result in better quality of service due to the competition between providers. Meanwhile, someone else might argue that these services should remain public because the added expense of managing contractors outweighs any cost savings, and because it’s too hard to ensure quality and consistency with different providers. Finally, your “story” is important just like it is in any finance interview – you better have a good reason for saying that you want to be in public finance rather than corporate finance. Q: And what might a good reason sound like? A: The best argument is to say that you’re interested in both finance and public policy, and that you’re therefore interested in public finance because you can work with issuers that will have an impact on society. You might point to previous experience in student governments, non-profits, or anything policy-related (even something like the debate team) to support this claim. Q: OK, great. So you mentioned above some different points that you might want to know about for public finance interviews – where can you find more information on going market rates and recent issuances? The Bond Buyer – Good place to review data, read news of recent deals, and more. Municipal Securities Rulemaking Board – You can look up “official statements” (similar to offering memos) for bonds that have already been issued here. Here’s a good example of an official statement for a bond offering from New York City – skim through that and you can get a sense of what’s important when you’re financing state and local governments. Unlike with corporate debt and M&A activity, all the information here is public so you have no reason not to know it in advance. You don’t need to memorize every detail, but you should have at least a sense of what’s going on in the market. Q: Yup, that makes a lot of sense. You just mentioned that pointing to a strong interest in public policy will help you in public finance interviews – what else are they looking for in candidates? Are they biased toward undergraduates, MBA graduates, or those with more experience? A: Most boutiques in this sector want someone with at least 6 months to 1 year of experience. You can still get in with less experience than that, but most of the time you’d have to complete an internship here to have a good shot at winning a full-time offer. We have hired a few people straight out of school before, but most of them had had internship experience. We also had an MBA intern once, but I believe he found us through networking; I’m not sure how much public finance boutiques focus on business school recruiting. Besides the usual analytical, teamwork, and burn-the-midnight-oil qualities, you also need to write well if you work in public finance because we spend so much time drafting proposals and writing long RFPs. Q: Great, thanks for those tips. Any more thoughts on how to line up an internship or full-time offer in public finance? A: It can be really tough to find these specialized public finance firms, because it’s easy to confuse them with consulting firms in this space. There are a lot of “advisory” firms that do fee-based consulting work for government and tax-exempt clients rather than underwriting; it’s similar work, but you don’t get paid as much and it’s technically not even investment banking. So be careful when you’re researching the firms you want to apply to. Other than that, the same strategies apply: ask for informational interviews, be super persistent, and always try to get an internship first even if you’re at the MBA-level or you have more experience. Even if you’re out of school already, you can just propose a “trial internship” and reduce the risk for both parties. That also gives you a good chance to get to know the industry since it really is totally different from corporate finance – you don’t want to go in expecting one thing and getting something completely different. Q: Great! Interesting to hear about those consulting firms that also work in this sector. A: You’ll have to wait for Part 2 for that one. Coming up soon! I would look for something in corporate banking or some other lending/credit role (even credit rating agency jobs) and try to leverage that to move into Public Finance. It’s tough without an internship, but you can sometimes move from other credit-related roles into Public Finance (and it’s often easier to win credit roles than equity roles on both the sell-side and buy-side). Is Project Management a useful skill for getting into Project Finance? If an individual can get a personal recommendation from the finance director of a major municipality, would that be a suitable way to get into pub fin? Granted that one can convince them that there would be potential to get a few deals out of said municipality? This can potentially be a way to get into public finance. This depends on the situation too. Awesome article Brian. So does it mean that project finance interviews won’t be that technical compare with an M&A interview in a BB bank? One more question- is public private partnership interview structure the same way as project finance interview? I am not 100% sure but I wouldn’t say so; it really depends on the bank and the interviewer. I’d imagine there’s fair amount of technical questions in project finance interviews. I would defer to readers to answer your last question. Sure that would be great. Thanks Nicole. I am a sophomore at a top school with experience in government bond financing. Do you think a resume for Public Finance at a bink bank is significantly different from a resume for classic ib? Thanks so much! You can use the same resume template(s) that we have elsewhere on the site, even for public finance. The difference is that you’ll write about different deals and describe your experience a bit differently (more focus on the financing side). Do the same employees, on different deals of course, serve on the financial advisory side and the underwriting side in smaller banks? Basically, do employees change roles depending on the deal or are the staffs of advisory and underwriting completely separate? It seems like the same skills would be needed, especially in a negotiated deal. Thanks! A little off topic, but your website is awesome. I recently interviewed for an internship (3/28) and I thought it went pretty well. I had asked the interviewer at the end when I should expect a decision, he said his team would meet on Tuesday to discuss all potential candidates(4/3). It has now been a week since they meet and 12 days since my interview. When is it appropriate to send another e-mail or even call the firm? Thanks! Hey! Great article, I noticed that Goldman Sachs is the only firm that puts their PSI group under their investment banking industry groups. If I get an internship there, would it be relatively easy to transfer into a more classic investment banking group since its already an industry group or would it still be hard to break into classic ibd? Thanks! I think it depends on the number of roles available, how you fit in, and your network. I think it should not be a difficult move; def a relatively easier move vs a move from BO/MO-> FO or S&T/PB -> IBD. Great article, at least at the boutique I’m at, neither I nor any of the other analysts at our other regional offices had any pubfin background. I also had to take a pencil-and-paper math test as part of the interview process. Thanks! Interesting to hear about that, the interviewee didn’t mention a math test but then he already had ~1 year of experience so it was a bit different. Can you give me a few examples of these public finance firms so that I can look them up and see what I should be looking for in order to tell them apart from consulting groups. And just focus on the smaller firms that you see coming up in profiles there. Be sure to cover hat demonic deal that IB make with countries called debt swap. Case Study: GS & Greece! I’d like to know how they convince countries to sign up for something that neither the IB firm nor the government understands! Hah, good example. I don’t like to cover time-sensitive issues but he does address the future of the industry a bit. By consulting firms, are you referring to “Financial Advisors” like PFM or PRAG? It seems to me that investment banks play the F.A. role at times as well, especially those that work on middle/lower market deals. Or are you referring to consulting firms that do non-transaction related advisory? Excited to see Part 2! Yes, but I think the issue there is that they also do a lot of work that’s more similar to management consulting or operational consulting-type projects, which wouldn’t pay as well. Many firms do both, so his point was just to watch out what you’re applying for because you may not know what you’re getting into. Thanks for the post! I’ve been reading your site since sophomore year of high school and now that I’m a sophomore in college, I really appreciate this post, since my academic studies are in city planning and business. I’ve been looking for a way to incorporate both of those tracks into a career and this is really relevant to me. This is great stuff, thanks guys! Will you cover topics like compensation, lifestyle, prestige and exit opportunities (especially as compared to those aspects for a more traditional investment banking group)?